Should You Hire a Fort Wayne Professional Cleaner for Your Home? Should You Hire a Fort Wayne Professional Cleaner? Sometimes your schedule is just too hectic for deep cleaning rooms of your home or sometimes routine cleaning of tile or carpet just isn’t enough and you need to hire a Fort Wayne professional cleaner. There really are never enough hours in the day for everything that needs to be done. You can hire a local maid service or Fort Wayne cleaning company to come to your home and scrub the floors, clean the shower or bathtub and other more labor intensive cleaning chores on top of vacuuming and dusting. Hiring a Fort Wayne professional cleaner will free up time for your career or your family. You also should hire a carpet cleaning service for deep cleaning each year. Even if you or the cleaning service or maid you hire vacuum routinely, there is some dirt and bacteria that is too deep to remove. Deeper dirt requires more powerful equipment for extraction and guaranteed removal. For a truly clean home, we would recommend hiring a maid service or local cleaning service each week for more intensive routine cleaning and hiring a carpet cleaning service once every 6-12 months for deeper cleaning. Just don’t hire cheap carpet cleaners since some will do more harm than good. Chem-Dry of Fort Wayne cleans carpet and upholstery too. Sometimes homeowners will forget to hire furniture cleaners but we can do both for you. Our carpet cleaning uses only green cleaning solutions for superior results. We don’t even use much water either so the service is extremely eco-friendly. After the maid service has finished their tasks and Chem-Dry of Fort Wayne carpet cleaning is complete your home will be absolutely beautiful and well maintained for you and your family to enjoy. All without you having to lift a finger! 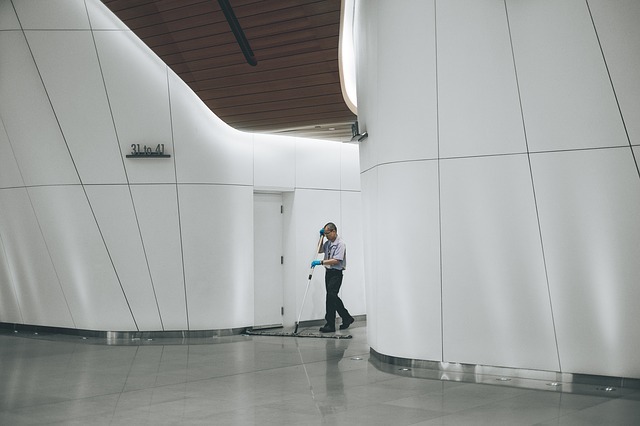 If you run your own business or are a property manager you should not hire a maid service but a janitorial service or commercial cleaning service Fort Wayne for your office or store. Commercial cleaning equipment is much more industrial and powerful and better-suited for businesses than home cleaning services. Chem-Dry of Fort Wayne offers commercial carpet cleaning too! To schedule your annual carpet cleaning appointment, cal Chem-Dry of Fort Wayne at (260) 409-1138. If you are interested in commercial carpet cleaning, our customer service representatives can schedule a FREE ESTIMATE.